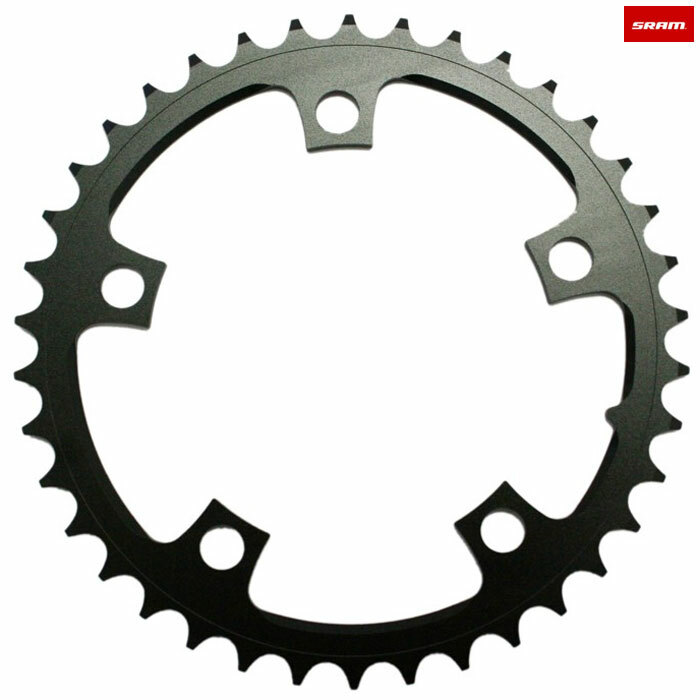 SRAM Road 38 teeth 3mm chainrings are stamped from 7075-T6 aluminium with black hard anodized finish. PowerGlide ramps/pins for optimized shifting performance. will this work with 8-speed chain? These SRAM rings have 10-speed-only stamped on them. Are they compatible with 7 or 8 speed chain? Thank you. These would only be suitable with a 10 speed chain.